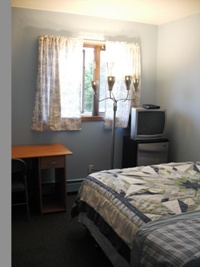 We offer both dormitory style rooms and private rooms. Both have shared bathrooms. 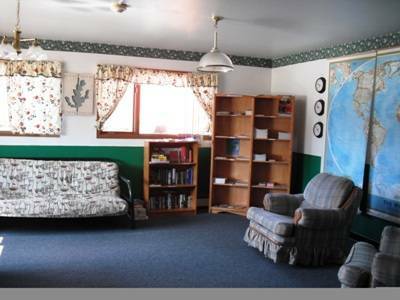 Internet access in lobby and WIFI access in rooms, travel info, laundry facility and a spacious kitchen are available for guest use. Security lockers are provided free of charge to guests who wish to store items while traveling Alaska. All private rooms have TV with Cable/HBO. 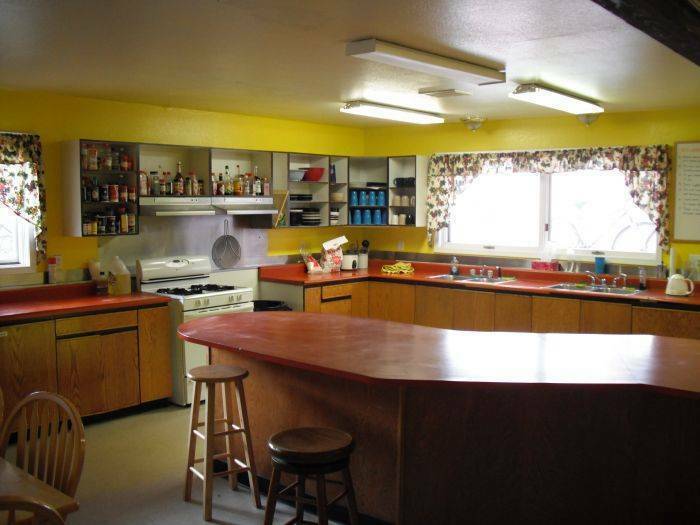 All rooms have ample closet space, wi-fi and shared full bathrooms. 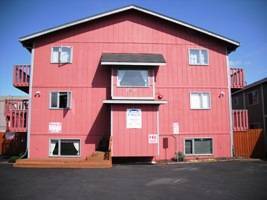 Located in midtown Anchorage, about 10 minutes from downtown, we are close to retail stores, bars, resturants, camping gear outlets, and the beautiful coastal trail and earthquake park.